Office hours are 8 a.m. to 4:30 p.m., Tuesday through Saturday (closed for certain holidays and special events). Group activities are scheduled by appointment only. Day-use activities are welcome. Activities are funded by the 1/8th cent Conservation Sales Tax Amendment 75, thus are free to school and approved groups. Please register at the education center upon arrival. Potlatch Conservation Education Center (PCEC) at Cook's Lake near Casscoe, is a conservation education facility that operates under a joint agreement between the U.S. 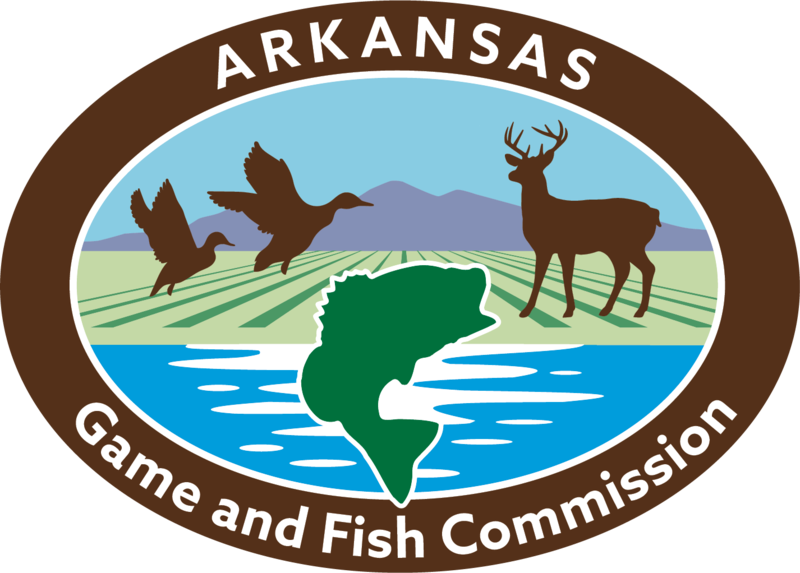 Fish & Wildlife Service, the Arkansas Game and Fish Foundation, and the Arkansas Game and Fish Commission. It is located 20 miles southeast of Stuttgart on the Dale Bumpers White River National Wildlife Refuge. The 72-acre facility is surrounded by 1,850 acres of upland and bottomland hardwood forest that includes a two-mile long oxbow lake and a 40-acre green timber reservoir. In 1947, Lion Oil Company purchased the entire Cook's Lake property from various landowners. Some owned small parcels while others owned rather significant portions of land. They constructed a 4,800 sq. ft. lodge, which was used primarily as a duck-hunting lodge. In 1967, Lion Oil Company sold the Cook's Lake property to Mark Townsend of Stuttgart. Mr. Townsend retained ownership of the property until 1971. He then sold it to Potlatch, Inc., but retained lifetime hunting and fishing privileges. Upon his death in 1997, the property reverted to the exclusive control of Potlatch. In 1999, a unique agreement between the U.S. Fish & Wildlife Service, Arkansas Game and Fish Commission, Arkansas Game and Fish Foundation, and Potlatch, Inc. created the opportunity for the U.S. Fish & Wildlife Service to purchase 1,850 acres of Cooks Lake. In turn Potlatch donated 72 acres to the Arkansas Game and Fish Foundation. This included the lodge, residence, shop, and various other outbuildings. Also included in the donation was 65 acres of bottomland hardwood forest. Through a memorandum of understanding between the U.S. 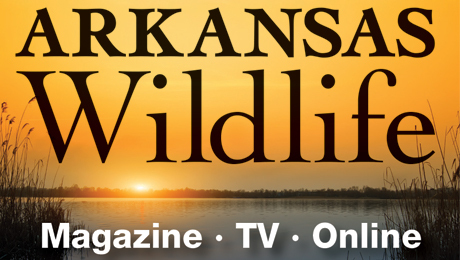 Fish & Wildlife Service, Arkansas Game and Fish Foundation, and the Arkansas Game and Fish Commission the unit known as Cook's Lake will be preserved for the benefit of fish, wildlife, and plant resources for present and future generations to learn about. Special deer hunts for youth and the mobility impaired are coordinated by the Dale Bumpers White River National Wildlife Refuge at St. Charles, with the Cook's Lake being the host site. The Cook’s Lake area offers 1,850 acres of upland and bottomland hardwood habitats along with a two-mile long oxbow lake and a 40-acre green-timber reservoir. Courses offered to students and teachers cover a wide range of subjects programmed around the existing area. With the varied of vegetation found surrounding Cook's Lake, any season offers an array of inviting photo sites. Visit during any season to find and photograph beautiful and unique scenes. Whether you are looking for large scenes or concentrating on smaller sites of nature, you will find them at the Cook's Lake area. Reservations are not required for day-use visits with this activity. The area surrounding Cook's Lake has a variety of birds, some year-round residents, some only migrating through seasonally. Over 140 species of birds have been observed and identified at different times during the year. Reservations are not required for day-use visits with this activity. For more information regarding the Potlatch Conservation Education Center, contact us by phone, or send an email. Courses offered to students and teachers cover a wide range of subjects programmed around wetlands and bottomland hardwood habitats. Examples of study subjects include: macroinvertebrate collecting and identification from the lake, reservoir, leaf litter, or a rotting log; basic compass, orienteering, and GPS; mammals of Arkansas using skulls and pelts, mastodons of the past, and the Ivory-billed Woodpecker habitat. Birding activities, nature walks, and general sight seeing is available. Please call 870-241-3373 in advance to make reservations. Book your date-first come, first served basis. State your specific topics you would like covered during your visit to PCEC. We can help you decide what activities would be appropriate to compliment your course of study. Pre-trip packet will be mailed to teacher. This includes copy of Medical Form and Statement of Responsibility Form that each student must have completed and other helpful hits for a successful off-site learning experience. A list of programs available at PCEC will be included to aid you in future activity selection. The Dale Bumpers White River National Wildlife Refuge, the Arkansas Game and Fish Commission, and the Arkansas Game and Fish Foundation hold two special deer hunts, a Youth Hunt and a Deer Hunt for the Mobility Impaired, at Cook's Lake during the fall hunting season. If you have any questions, contact the refuge office in St. Charles at 870-282-8200. Youth Deer Hunt. A special youth-only deer hunt takes place the first weekend of December each year. The 2018 hunt will occur on Saturday, December 1, 2018, and conclude at sunset on Sunday, December 2, 2018. Deer Hunt for the Mobility Impaired. A deer hunt for permanent mobility impaired individuals takes place the second weekend of December each year. PCEC can facilitate 15 different badges and activities for the scouting programs. On-site fishing and camping for scouts can usually be scheduled. Workshops covering PCEC curriculum or special requested subject areas are provided by the PCEC staff. These are usually one-day workshops, but can cover two days, depending on the materials covered. Six in-service educational hours are granted for one-day workshops, with scheduling dates for workshops set for the convenience of participating schools. Hiking, birding and outdoor photography | Tuesday-Saturday, 9 a.m.-4 p.m.